I recently entered a contest to win a week-long trip to Italy. But this isn’t your average Venice-Florence-Rome trajectory; far from it. This short scholarship, hosted by WorldNomads.com, immerses you in the local food culture of one of three regions of Italy: Emilia-Romagna, Cinque Terre, and Langhe and Roero (in Piemonte.) While there, each of the three winners has the opportunity to meet Italians involved in all levels of the food production chain, from vintners to sausage makers to cooks. All of these experiences are then transcribed by the winners into a blog and even shared in front of a video crew! I chose the recipe for Zuppa di Ceci, which I first tasted at Trattoria Mario in Florence. Trattoria Mario deserves its own blog post — which is why I wrote about it back in 2010. 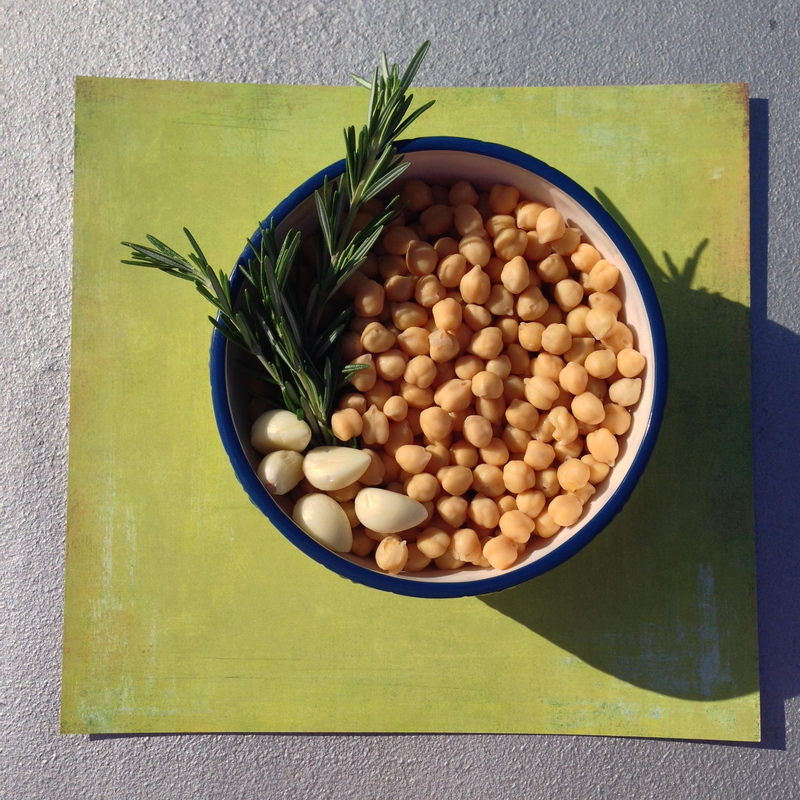 To reveal the true beauty of the humble chick peas, I conducted a photo shoot on my sunny roof. In addition to the story behind the recipe, the contest required an essay explaining why I was a good fit and why I should be chosen. Until a week before the deadline, I believed that this essay should be 1500 words, and had written, edited, and proofread one slightly over the word count. I was shocked to discover one week before the deadline that the limit was actually 1500 characters — including spaces! With a lot of emotional anguish, and much help from my dad, who is an expert editor, I was able to chop the essay into roughly fifteen percent of its original length. I’m now considering what to do with the remnants of the essay (the remnants being the bulk of the original.) I could divide it into several blog posts, or perhaps find another outlet for it. I have a few ideas in mind. Voi mangiate per vivere. Ma in Italia, si vive per mangiare! You eat to live. But in Italy, we live to eat! So my Tuscan host father, Babbo, “Dad” in Florentine dialect, explained to me. His wife Ornella created glorious meals. But it was Babbo who taught me how to eat: how to twirl pasta, how to peel a peach with a knife, and how to linger over a Sunday dinner. They molded my culinary sensibility. Since I lived with them in Florence in 2008, I have dedicated myself to Italian food culture, majoring in Italian and creating two blogs. Piccolo Mondo, Gran Cuore records my journey from American student abroad to gastronomic adventurer. When Nutmeg Met Basil explores my life after graduation, working as a nanny in Parma and getting to know Emiliana cuisine. Today, in my position at a public relations firm, I write website content and magazine articles on daily deadlines. As a communications professional, my skill set will allow me to produce a high volume of quality content during my scholarship period. Through videos, essays, photos, and social media, I will document a way of life that is in danger of disappearing as Italy modernizes. Winning this scholarship will fulfill my dream to return to Italy and focus on food, giving me access to parts of the Italian culinary landscape I’ve never before experienced. It will also allow me to communicate my joy to others. Ultimately, it will launch me toward a future in which food, wine, Italy, and writing are intertwined. Heat 1 tablespoon of olive oil in a large pot. 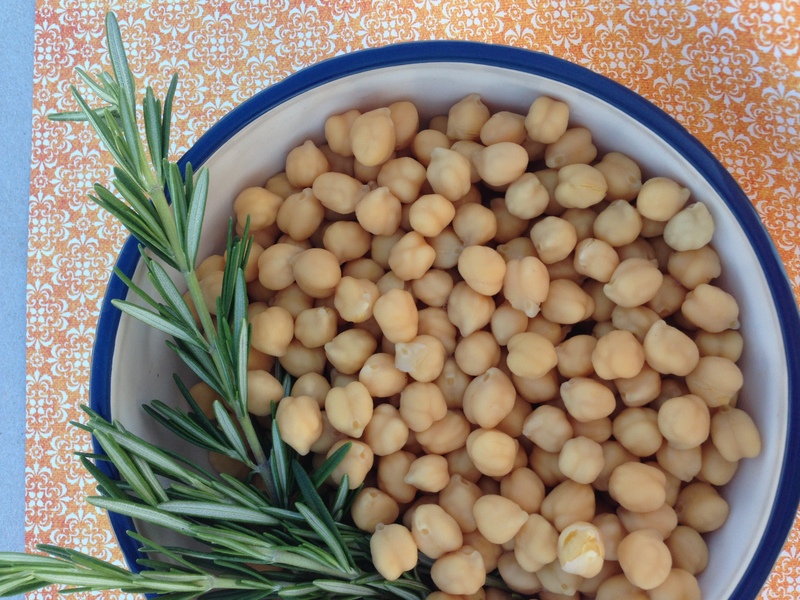 Drain and rinse the chickpeas and add them to the pot along with 1 cup of water. Cook on low-medium heat, covered, until the chickpeas are soft and heated through, about 15 minutes. Remove slightly more than half of the chickpeas from the pot and puree in a blender or food processor. Return the pureed chickpeas to the pot and stir them thoroughly. Let the soup simmer on low heat. Saute the garlic with the chopped leaves of one sprig of rosemary for several minutes until toasted, and then add to the soup. Allow to simmer for an additional 15 minutes. Add water as necessary to thin the soup to the desired consistency. Add olive oil, salt, and pepper to taste. 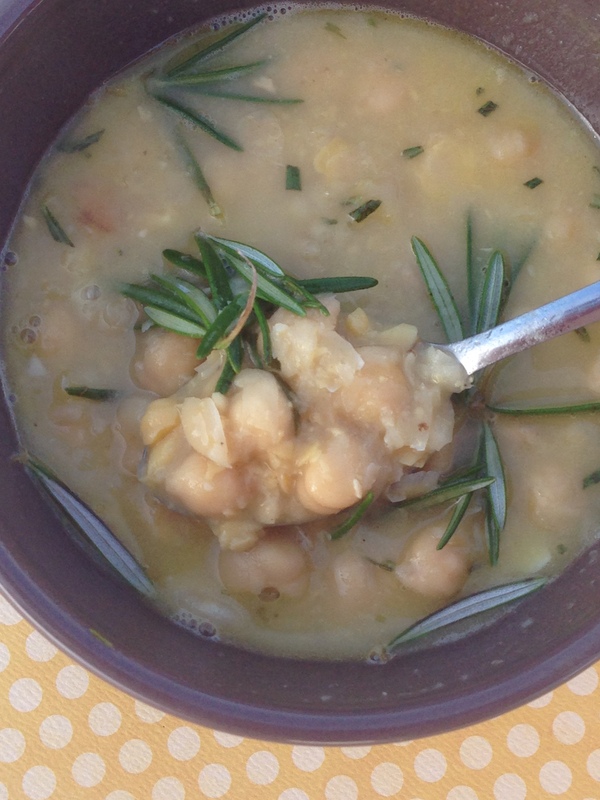 Serve the soup with a drizzle of olive oil and fresh rosemary for garnish. Non e` buono quel che e` buono ma e` buono quel che piace. 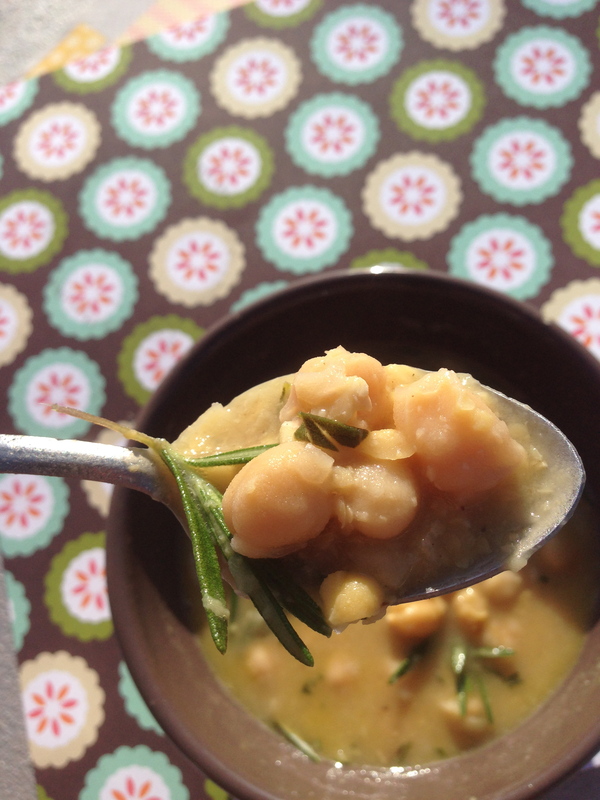 This recipe for chickpea soup is extremely simple; it gets to the heart of what matters to me about the Italian attitude toward food. A dish may start with a humdrum ingredient, but it never ends with a boring flavor. This soup is so remarkable that, months after eating it in Florence’s tiny, family-run Trattoria di Mario, I dreamed about it. I awoke from the dream with a lingering sense of well-being. Already back in America, I set out to recreate my Italian experience through recreating this soup. To read the rest of my entry, click here! No, I haven’t, but I will. Thanks for the tip!